it’s the season where bathing suits are packed away and I’m pulling out my big sweatshirts and mittens. (in other words, the ultimate best time of the year) I seriously ADORE all things to do with fall and I can’t wait for all of the adventures and fashion it will bring this year! Currently heart eyeing over: leather booties, PSL’s, my wellies, and of course all those fall scents! 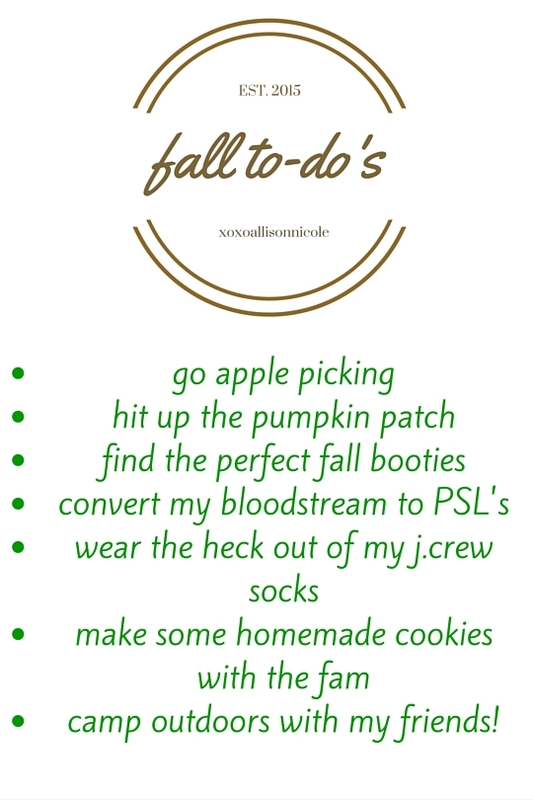 Here are a few fun things I’m dying to do with my pals this fall! what are you planning on doing this season?